The frenzy of activity in the mobile payment space continues to accelerate, as New York-based Venmo Inc. has been acquired by mobile payments firm Braintree, the New York Times reports. 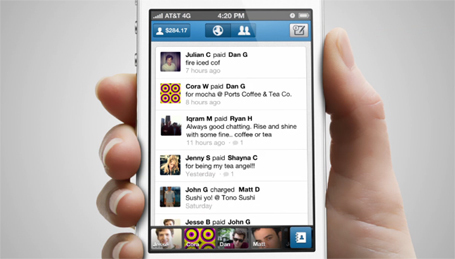 Venmo was founded in 2009 and released its product, a mobile app that lets people send money to one another, last year. Braintree CEO Bill Ready explains in the article that the company is preparing for the coming wave of mobile commerce, and that already, $1 billion of the company’s $4.5 billion in transactions run on its platform are mobile-based. Using Venmo is like sending money with a text message. Mobile payments is an area that has attracted its fair share of startups in the last few years. Probably the most noted is Square Inc., a San Franciso firm that enables merchants to accept credit card payments using an iPhone dongle and app. Helmed by Twitter co-founder Jack Dorsey, Square is currently only available in the U.S. But there’s no shortage of options for Canadian merchants. Vancouver-based Payfirma offers a service very similar to Square, as does Intuit with its GoPayment service. Then there’s Hamilton, Ont.-based startup Snappay, which accepts credit card payments simply by taking a photo of the plastic card. With larger players such as Google, Visa, and Mastercard also looking at how to compete in the mobile payments space and get their metaphorical fingers into your future digital wallet, expect to see more startups getting snapped up in the coming 12 months. Others beside Braintree’s Ready will want to surf on that wave of mobile commerce, all the way to the bank.